I recently posted a blog explaining what Google Remarketing is and how it can help businesses to recapture the 90% of all their website visitors who leave, without placing an order or submitting their interest, by targeting them with adverts as they browsed across other people’s websites. In today’s blog I am delving deeper into the different remarketing strategies you can adopt, looking specifically at Google Remarketing Lists; what they are and why they are important, where you can make them and some really effective ones you can build for your own campaigns to improve your overall Remarketing effectiveness. What Are Remarketing Lists & WHy Are They Important? Remarketing Lists are best thought of as your audience segments. When you create a Remarketing campaign in Google Campaign Manager, you will automatically build your first Remarketing List called “All Visitors” – this contains all the people who have visited pages that contain your remarketing tag. What all too many people do is to make the mistake of then diving straight into advert creation, thinking of all their visitors as equals and creating a campaign with a “one size fits all” message that will hopefully attract them back to the site. Whilst this can work (particularly for sale offers and promotions that everyone might be interested in), ads are generally much more effective if they are tailored to the interests of the audience and contain an appropriate call to action to match their stage in the buying process. Let me give you an example of what I mean… say you have a website that sells gifts for young children. On your (very nice) website visitors can view your gift collections on category pages that can be filtered by gender or age range (or both). With Remarketing Lists, you can create these as segments by identifying the URLs that people would go to if they were interested in that product segment, so all those URLs that display only boys gifts, and ID these to go into a separate ‘Interested in Boys Gifts’ Remarketing List. You will then be able to create a separate campaign to target this segment, with remarketing ad copy talking about boys gifts and showing your best selling gifts for boys, and more importantly directing them back to the relevant section of your site. The ad is much more relevant to the visitors, making them more likely to engage and respond. It’s also important to create Remarketing Lists based around your sales funnel to avoid putting the wrong messages in front of the wrong people. Let’s say your business offers sales training classes which people can book online. You would want to create a remarketing list of all those who have already booked onto a class to separate from those who haven’t as promoting the class to someone that has already booked onto isn’t going to get you any further return and will potentially cost you money. You can create Remarketing Lists within your Campaign Manager, Shared Library section. Click onto Audiences > + Remarketing List. I’ll quickly explain both methods and some points to consider when choosing which route to go down. If you choose to place ads to your Remarketing lists via Google Display Network, you have the opportunity to have your ads, which can be text or image banners, appear on any website that has Google Display Network ad space on it. The display network includes several million websites, including Google’s own video and mobile display partners, YouTube, Gmail, Google Maps, Blogger, and loads more. It really offers you a huge reach, and it includes anything and everything from huge global multi-media websites, those sites with massive volumes of views and user bases such as e-Bay, all the way down to wonderfully niche websites and forums where your specific customers may be hanging out. You can control what kind of websites your ad appears on throughout the display network, however it is important to remember that with Remarketing, you are targeting the person, and not their other interests. So if they like to read a certain newspaper that you don’t like, or watch videos of cats in their evenings, having your service and product advertising on seemingly not relevant sites will still help remind them of your brand, your product and your service. That is the crucial bit here, and not the type of website that the ad is appearing on. That being said you have the control to make sure your ads don’t appear on sites that might be inappropriate such as offensive or violent sites and pages. To remarket via the display network, you require a minimum remarketing list size of 100 people. So it is important to take a look your monthly traffic volumes, and consider which pages have the most visitors on your website whilst creating your lists. For remarketing via the search network (also known as Remarketing List For Search Ads or RLSA) you require a minimum remarketing list size of 1,000 people, which means that for many businesses, it can take a bit of time to collect a list of this size that will fit this criteria. With the search network, you can only show text ads, and the only place the ads will appear is in the ad space that Google takes on the search engine results page, which is typically the first few results on the page. For example, a cottage lettings company in Cornwall might want to bid on terms such “Holiday Cottages” and “Cottage Break”, which would cost lots of money if they were to bid on it for everyone, and because they are not specifying a location, the chances of conversion are low as it’s likely they are looking around for options and are not in buying mode. However, if we know they have already been on their website, and have therefore shown interest in a cottage in Cornwall, bidding on these terms may be profitable, as they are further down the sales funnel, and it allows you to ensure your potential customer finds you again at the point they are ready to purchase. Homepage Viewers – People who visited your homepage but didn’t go any further into your site. Category Page Visitors – People who looked at your broad category range, but not a specific product. Cart Abandoners – Added products to their cart but didn’t check out, or went to the lead form page but didn’t submit. For all of these you can also apply time restrictions, so you can have a list of people who visited your site within the last 30 days, or go further back to include people who visited the site, or certain pages within the last 500 days. You can fit your list to apply to your typical prospect to customer, and then repeat purchase lead times so if you’re able to keep in front of them throughout the entire sales process. Another remarketing list source comes from uploading your existing customer and prospect email data into the platform, which Google will match to their Google account data. Customer Match is a recent exciting development as it allows businesses to keep front of mind with their existing contacts and keep them updated about new developments to the business that they might be unaware of. Where maybe only a third of your contacts might open your marketing emails, and a proportion will have opted out, it offers you an opportunity to remind your contacts of who you are and what you have to offer without having to pick up the phone to them all. Google Remarketing – What is it and how can it help your business? Everyone seems to be talking about Google Remarketing at the moment. Well they might not be using that exact term but it is definitely a hot topic in Digital Marketing. Do you know what it is? No, then this blog is the one for you. Even if you haven’t heard the term remarketing before – you have probably seen it in action – let’s see if the below example of it in action sounds familiar. 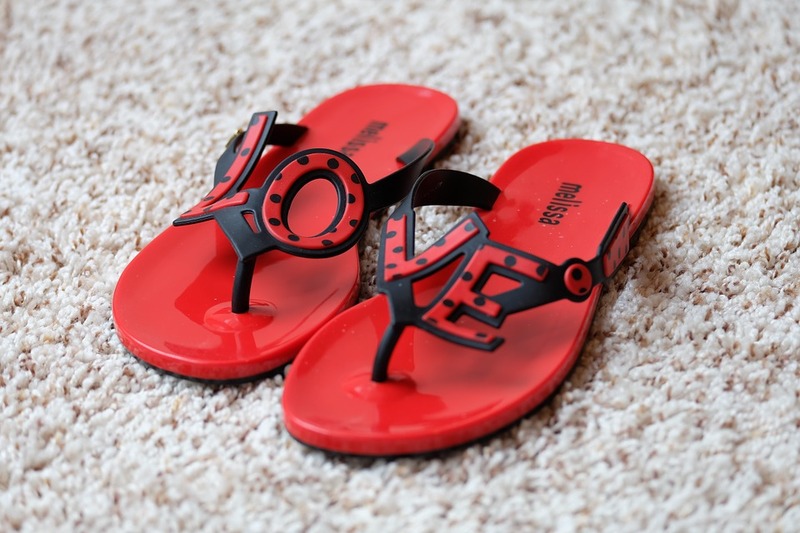 You were planning for your summer holiday – perusing websites looking for something nice to add to your summer wardrobe, and then you came across the perfect pair of sandals! You go off to find your bank card, and glance at the clock on your way only to suddenly realise that you need to be out of the house in 5 minutes … and you are nowhere near ready. Yikes! You got carried away in all the excitement of your holiday and totally lost track of time! You didn’t have time to buy those sandals, and made the decision that you would just have to get them later. So that hectic day led to a hectic evening … and a hectic week! All those warm thoughts of sun and sandals out of the window. The following week though you find the time to sit down with a nice cup of tea, and catch up on some current affairs on your favourite news website. Low and behold there on the site was an advert for that website that sold the sandals you located the previous week, reminding you of just how much you wanted them, and that you hadn’t yet purchased all your items for your holiday wardrobe! Well you seeing those adverts after visiting that website was not a stroke of luck for that business, nor was it a case of a timely nationwide advertising that happened to be running at the time! It is actually Remarketing (also referred to as Retargeting) at work! Before I continue explaining what it is, just to clarify both Remarketing and Retargeting are the same thing. Google opted to call their version “remarketing,” which has caused nothing but confusion for most marketers. Remarketing is actually specific to the Google Adwords display network, and Retargeting is the marketing approach behind Remarketing. We use Google’s version of Remarketing as it’s the most accessible and popular option, but you can also Remarket (or Retarget!) via a host of other platforms, including AdRoll, Triggit, Facebook, and ReTargeter. Remarketing very simply, allows businesses to target specific audiences of people who have already had an experience with your business, and place ads in front of them on other people’s websites via Google’s Display Network. More recently it also includes your existing database, your customers and your prospects that you have gathered over the years. This is a newer addition to Google Remarketing functionality called Google Customer Match. How can GOOGLE remarketing help my business? So every day people are visiting your website (providing you have one of course!). These people are relevant to your business, and they’re looking for your product or service. We know they’re relevant because they’ve searched online for your product or service, they saw your website, and they made the decision to visit. They’re also timely—you have them looking at your website either during a key research stage or when they’re ready to commit to a purchase. We also know that generally your visitors are short on time. If they can’t find what they want immediately, they have no qualms about moving on. Because of these reasons, we know that everyday there are relevant, ready-to-commit people leaving your website. So, how many? It’s a scary statistic – but studies have shown that over 90% of all visitors to a website leave and never return! When you think about it, how many times have you been down to the local high street and bought something from a shop you have never heard of before? Not very often, right? We’re creatures of habit and like to buy from companies that are familiar to us; companies we recognise and trust. Although it’s easy to ignore the costs of losing each of these visitors as it seems like an almost an intangible statistic in your analytics, you must remember that visitors ARE NOT free. Every one of them has an associated cost both in time and money. Every one that leaves and never returns has cost time and money without giving you any return. Think about your website costs, the time spend in creating your website content, all the hours and money put into your online advertising. The good news is Google Remarketing can help to recover these lost visitors by getting them back to your site and converting. By targeting and placing timely adverts in front of your past website visitors there is a dramatic increase in the chance that they’ll come back to your website. Even better, they’ll now be much more familiar with the business and far more likely to buy! Now for the Techie Bit – How does Google remarketing work? So you are probably wondering how it can track people and the pages they visit on your website? To do this, you need to apply the relevant tracking code across your website. This is code generated from your Remarketing platform, and is sometimes referred to a remarketing tag or pixel. Once installed into your website, every time someone comes to visit your site, this tiny bit of code will work with cookies to generate a notice of their visit, for every page they go on to. Now to be clear we do not see this data at a granular level. So we cannot see that Fred came to my shoe store website last week and looked at trainers, not can we see that Susie added 3 pairs of stilettos to her shopping cart, but then left the website. What we can however do with Google Remarketing is build lists of prospects who have interacted with your site in different ways, and then instruct Google to place relevant adverts in front them. For example you can identify Shopping Cart Abandoners – those who have added products to their cart, but didn’t check out, or alternatively for a B2B context went to a lead form page and didn’t submit it. We can ID these people as they have had the remarketing code trigger the notice of a page visit on the core cart or lead form page, but NOT the confirmation pages they would see if they had of completed the action. Dynamic Google Remarketing takes the essence of remarketing to your past visitors a step further, by showing them adverts tailored to the exact products they were previously viewing. So take our scenario from above with the sandals – instead of just seeing an advert for the website where you found the shoes you would see an advert for the exact sandals you were looking at! Dynamic Remarketing gives potential customers a helpful reminder of the items they were interested in, making it incredibly easy for them to return to you and complete their purchase! You can also use Dynamic Remarketing to suggest new items to customers, based on the kind of things they have previously bought. Now how cool is that? A little bit more techie talk? Dynamic Remarketing works similarly to Remarketing, using a tag on your website to collect data from your past visitors. However, the tag will also need to collect product ID data from your Product Feed which is managed via Google’s Merchant Centre, which will populate the ads with the information on the items that each visitor saw, including the product description, price and image. Today I am looking at the rather troublesome abandoned shopping cart. Abandoned shopping carts happen when someone visits your website, finds something of interest, adds it to their virtual basket (or shopping cart) but fails to cross that final hurdle and actually purchase the item, leaving that item of interest sitting abandoned, it the shopping cart. Understandably this causes eCommerce business owners a great deal of frustration as there is a great deal of money and time invested in getting people to visit their website in the first place, and to lose them at the last hurdle is a great deal of lost opportunity. There is also a common frustration many instances, as despite getting to the cart stage of a website, those cart abandoners won’t have even got to the point where they needed to provide an name, email address or telephone number, so following up with this audience is highly problematic as you don’t know who they are or how to contact them! For those feeling those frustrations, and are fed up of seeing their abandoned shopping cart rates go up, I am pleased to talk to you today about how you can stay in touch with these potential customers, and go on to push them over that final hurdle to complete their purchase all through the power of Remarketing. We can typically break down websites into horizontals and verticals. The shopping cart journey is a good example of effectively using the horizontals as a source of Remarketing opportunity. If we think of a website purchase moving through the website, the visitor will move from left to right in the diagram here. Starting either at the home page, or, depending on how well your advertising and SEO has gone, you’ll hopefully land them on a little nearer to the purchase, maybe at the category level or the product level. They may move back and forward as they browse and add more items to the basket, but the aim is to move them to the right to make the final purchase. As they move towards the goal, you’ll keep track of their progress through your Remarketing tracking code. For abandoned carts, you’re interested in capturing those visitors who added items to their cart but did not check out. To do this you need to create the following Remarketing audiences in your Campaign Manager using the following steps. Create a custom combination audience by selecting all those who are in audience 1 but not in audience 2 – these are your shopping cart abandoners! We’ve now created the remarketing audience we want to talk to, but what message should you be putting in there to get them to come back to you and actually buy this time round? Let’s remember that these are the shoppers that have progressed all the way to adding items to their basket; but just didn’t quite make it over the final hurdle. We therefore know that they’re very interested in what you have to offer. What we don’t know is why they didn’t buy then and there. One of the reasons that they might have abandoned the cart may have been siply due to an interruption, or a mere lack of time. Therefore a remarketing ad with a reminder of your business name, offering and USPs within your ad copy can be a simple, but successful way to bring people back to your site and to convert. However there will be those who perhaps wanted to consider the purchase a bit more, or do a bit of research around other alternatives. For this audience offering a sweetener—maybe a ten percent discount or a free gift with purchase can help you to win you the sale instead of your competition. You can put ads offering a discount to only these people and see the direct effect on the conversion rates. It’s a really good practice to run an A/B split test on your remarketing ads to see how the results differ between the ads that do and do not have an offer to see whether it is worth adding an incentive or not for your customers to win that sale. Also be sure to carefully consider where direct your abandoned cart audience when returning them to your website. You want to be bringing them as back to the product page of the item they were interested in, or ideally straight back to cart once again, to make completing the process as easy as possible. Taking them back to the homepage to have to start the whole process all over again is not recommended, and it will reduce your chances of finally securing that conversion. A really great example of how Remarketing can be successfully used to recover abandoned carts comes from Yankee Candle. They launched a Remarketing campaign and compiled an audience of 41,000 visitors who had placed items in their shopping carts in the last 60 days, but had not completed their purchases. Yankee Candle used remarketing ads to target this audience with discount offers across sites in the Google Display Network to encourage customers to return and complete their purchases. This clearly shows the power of Remarketing to recover abandoned shopping carts, and demonstrates why Remarketing really is a no brainer for anyone in with an eCommerce site that wants to bring back those 7 in 10 people that will abandon their cart at check out!